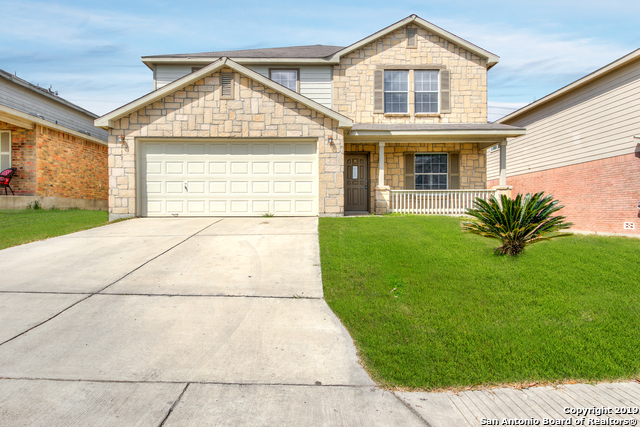 All WESTCREEK homes currently listed for sale in San Antonio as of 04/24/2019 are shown below. You can change the search criteria at any time by pressing the 'Change Search' button below. "A RARE find with a touch of contemporary and Texas hill country! This is a very rare 5bed/3bath home that shows like a model. Ultra high ceilings with an open concept and a secluded Master retreat. Fully upgraded Kitchen with High Level Quartz Countertops, and new Stainless Steel appliances. Refinished 1st floor bath and Secondary Bedroom downstairs. Entertaining outdoor setting with new pergola. New roof & HVAC. This home will be on your short list schedule a private tour today!" "You will love coming to this well maintained home inside and out. Turn the key and you'll quickly realize the serenity & peace when you walk through the door. You'll have fun in the kitchen and you'll easily stay connected to your perfect family room where your friends and family are gathering. For your benefit this home is only 20 minutes from Lackland AFB. & 30 minutes from Ft Sam Houston Army Post. 15 Minutes to NSA Texas Sony Place"
"Go and Show vacant home. Thank you for showing!" "Your home search is over! This amazing 3-2, one story Lennar home is a must see. Features include island kitchen w/ corian counters & bkfast bar, family room fireplace, Ring security, smart thermostat, spacious master w/ large walk-in closet & ceiling fan. Master bath boasts a sep shower/garden tub & double vanity. Outside enjoy mature trees on an over-sized lot backing to undeveloped land, perfect for family gatherings. Tons of community amenities. Recent water softener & osmosis system include"
"No city taxes! 2,334 sq. 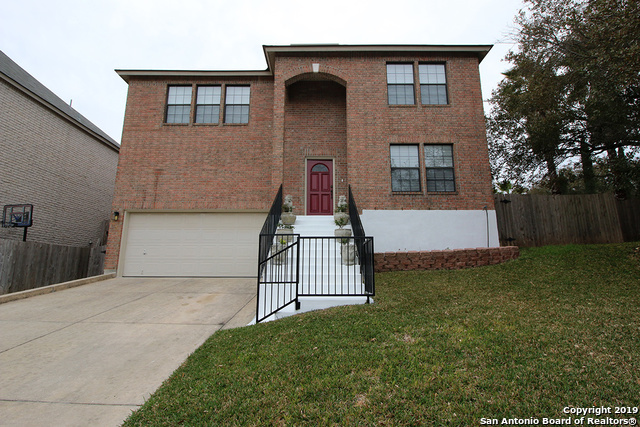 ft. 4 side brick home on cul-de-sac w/open concept floor plan, tile & new carpet throughout. 2 living & dining areas. Bright spacious kitchen w/French doors, walk-in pantry, recent appliances & fridge convey. All bedrooms upstairs w/walk in closets. Large master w/sitting area. Loft w/office nook. Front porch & 2 backyard patios. Recent AC. Near Sea World, NW Vista, Lackland, Westover Medical. NISD schools located in great community w/2 pools, tennis, sports court, park "